Two years ago, after watching most of the reruns of ‘Downton Abbey’ I began doing floorplans for my manor – as a hobby! I am a poor person, as are most people who are addicted to this series where we see a Rosamund. She has no children. We can come in with so many roles. You can be the Lord of a Manor, or, the forester who hauls wood to Bayhall. Does that young man train greyhounds? Who is milking those cows? Perhaps this would work as a facebook group? What I am going to do is make another blog where WE can explore Bayhall, even go and live there in our wondrous imaginations. Let US create an archive, and invite some rich and famous people who are OUR kin, to feel right at home. In the painting above, there are these brownish Hobbit-like dwellings that I believe is where the servants lived. On the right, we are looking at a formal garden with a fountain and – courting paths? You don’t want a handsome son of the gardener (Heathcliff) espying a fair maiden related to Lewis de Clifford. They must be kept apart. Ben, Jimmy, and John are related to Shakespeare. Elizabeth Rosemond Taylor, and the Getty family who lived in English estates. We do not have their money, nor do we own a golf course in Scotland. I look at that smoke coming out of that chimney, and I hear cultured people having clever conversations around the hearth. 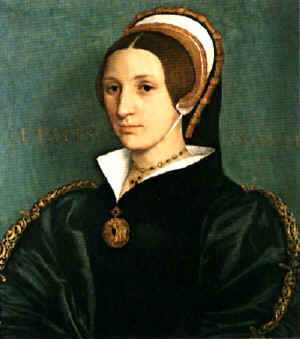 Thomas Culpeper (c. 1514 – 10 December 1541) was a courtier and close friend of Henry VIII, and related to two of his queens, Anne Boleyn and Catherine Howard. He is known to have had many private meetings with Catherine after her marriage, though these may have involved political intrigue. A letter was found written by Queen Catherine and she signed it, “yours as long as life endures.” He blamed the queen, saying he tried to end it, but she was, “dying of love for him”. Under torture, he confessed to adultery, and both were beheaded for treason. I have chosen my home, and the Lord of Arreton. Here is our story. Robert’s only sibling and widow of the wealthy Marmaduke Painswick, Rosamund has no children of her own and likes to get involved in the lives of her nieces. It was Rosamund who took a pregnant Edith to Switzerland to conceal her condition and she is much more open-minded than she cares to let on. She and Edith have grown close although her advice can conflicts with Robert and Cora’s leading to clashes. The posh pad used as the London home of Lady Rosamund Painswick – the Earl of Grantham’s sister, inset – is up for sale. Thanks to the show’s global success, wealthy fans from the US, China, Russia, the Middle East and Japan are now competing for the opulent mansion. The house in London’s exclusive Belgravia – which is home to a string of foreign billionaires – would cost a staggering £199,501 in monthly mortgage repayments. Thanks for replying. I am sorry if I neglected you. Too many mouse holes. I can get waaaay out there! But, I am not alone. We are kin to Ian Fleming via Aileen Getty and Liz Taylor. I am authoring a Bond book, starring Victoria Bond. I am amazed how sturdy the Rosamond women were, and are. They built this Nation. They do not get enough grounded credit, thus I was happy to find the Rosemans of Iowa. I wanted more proof on Moses Morton Rosemond. I hit pay dirt. This is addicting. This morning I hit the mother load. We are kin to Rosamond Clifford, and some famous Reverends. Thanks for all the work you have done. I am going to put a simple book together on our family that won’t alienate others. However, we may be one of the few, who care. Sir Thomas Bennet (1543 – 1627) was an English merchant and Lord Mayor of London in 1603-04. A leading London mercer, on 7 February 1594, Bennet was elected an Alderman of the City of London for Vintry Ward. He was Sheriff of London for 1594-95 and Master of the Mercers’ Company in 1595-96. He became Master Mercer again in 1602 and, in 1603, Bennet was elected Lord Mayor of London. Bennet was knighted by King James I on 26 July 1603 and, in 1604, he was elected Alderman of Lime Street Ward, serving until 1612. He was President of the Royal Bethlem and Bridewell Hospitals from 1606 to 1613 and in 1610 became Master Mercer again. In 1612 he transferred as Alderman for Bassishaw Ward which he represented until 1627. He was also President of St Bartholomew’s Hospital from 1623 until his death on 20 February 1627. Brother of Joyce Haume; Isabel Roberts and Walter Culpeper, of Calais & Wigsell, Esq. Father of Joyce Haume; Isabel Roberts; Sir Alexander Culpeper, Kt. and Walter Culpeper, of Calais & Wigsell, Esq. Father of Emma Locke and Sir Roger Clifford, Kt.